Landing at Wattay International Airport can feel underwhelming compared to neighboring megacities like Bangkok and Ho Chi Minh City. 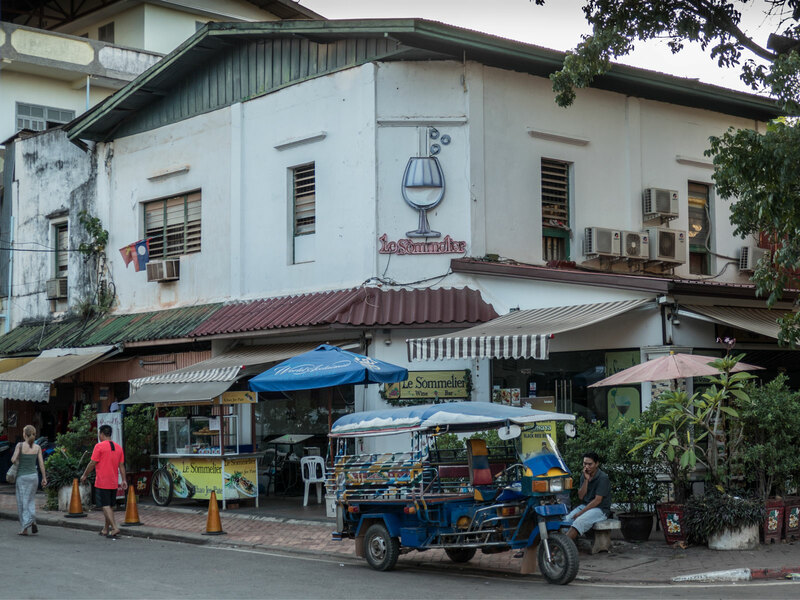 The three km ride from the airport to the center of Vientiane lacks the loud horns and traffic jams common in other Southeast Asian capitals, yet there’s a sense of change in the air. In recent years, Vientiane got its first mega-mall, which is oddly located next to its less-than-attractive central bus station. Vientiane has no subway or light rail and short distances are best covered by foot or tuk-tuk. Most tuk-tuk drivers speak some English and have a story to tell. If there’s a theme to a conversation with a Lao tuk-tuk driver, it’s change. 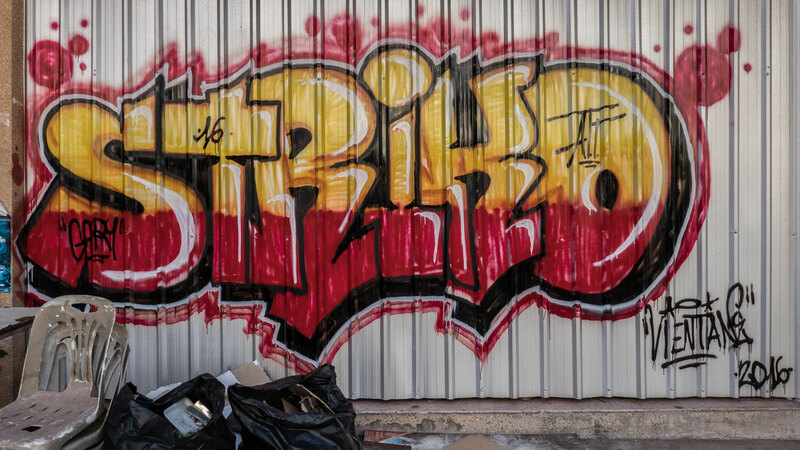 Foreign investment is pouring in and Laos is opening up to the outside world more and more. Laotians are not the most outgoing people, but if you show an interest in their history and culture, they will have plenty to say. For example, you would be well advised to sit as close to your tuk-tuk driver as possible and let him (most drivers are male) point out all the buildings that weren’t there ten years ago as well as roads that weren’t paved until recently. Although Laos does not have a world-famous historical figure like Chairman Mao or Ho Chi Minh, they do have Kaysone Phomvihane. He was a founding member of the Lao People’s Revolutionary Army and served as Prime Minister from 1975 to 1991. Kaysone himself shunned the cult of personality, but his picture adorns most of the Lao banknotes (kip) and his house is open to the public. The Kaysone museum is dedicated to his career and his statue can be seen from Route 13. Vietnamese flags are omnipresent in Vientiane. While Cambodians often refer to their prime minister as a Vietnamese puppet, the Kaysone (the guy on all of the Lao bank notes) Museum proudly displays pictures of Ho Chi Minh and boasts of Kaysone’s time spent in Hanoi. Even though the Lao language sounds closest to Thai, many Lao officials are quick to refer to the Vietnamese as their brothers. Kaysone’s father was Vietnamese. 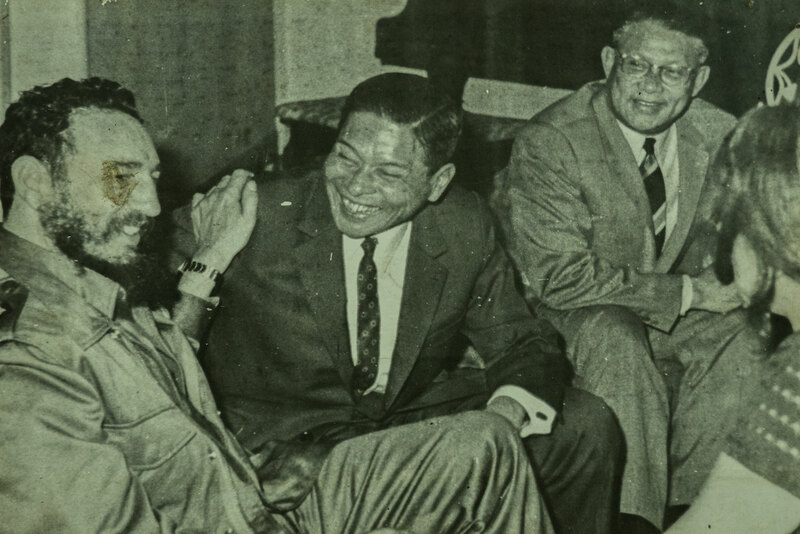 From 1976 to 1986, Cuba was the only western nation that Laos maintained relations with. 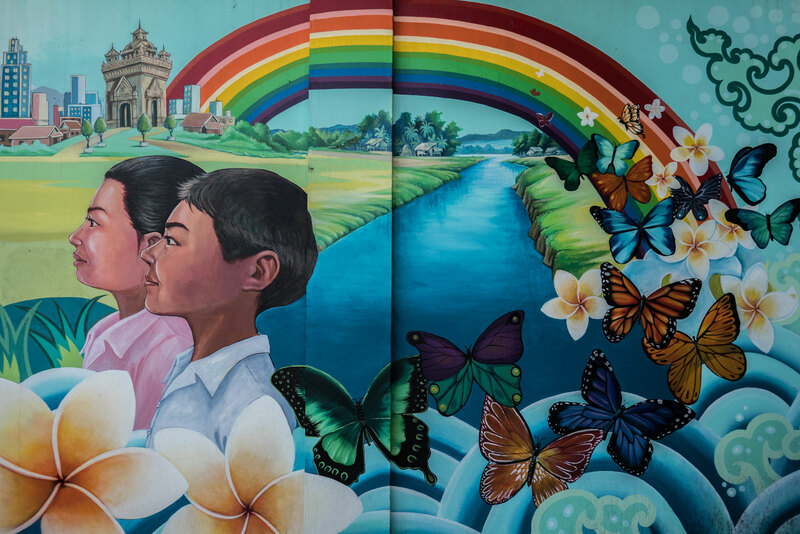 Since Castro’s death in 2016, many Laotians have been surprised to learn that his death was celebrated in the streets of Miami. At the Kaysone Museum, there is a picture of Kaysone with a younger, bearded Fidel Castro. Laos was bombed more than any other country and the United States was largely responsible. COPE (Cooperative Orthotic and Prosthetic Enterprise) is an ideal place to start your visit to Vientiane. Their multimedia exhibits are a sobering lesson on the effects of UXO (unexploded ordnance) throughout Laos and neighboring Cambodia. Despite this hardship, Americans tend to be welcome with open arms by hoteliers, street vendors, and even government officials. I have so much to say on the fact that I don’t like the fact the more cities around the world are becoming too western and it deeply saddens me. I love touring cities with a history. Who would’ve thought that they think Fidel was an ideal western leader. I love the idea of sitting close to the driver. I’ve never thought about it before, but you’re right. They’re a subset of the locals who would have a unique perspective on the way things are changing. Great food for thought! I’ve only spent a few days in Laos but have spent 7 months total in SEA this kind of resonates with the rest of South East Asia. Definitly agree you have to stay close to the tuk tuk drivers . I loved Laos when I visited, but it looks like I need to head back as things are changing! Thanks for putting this together! Beautiful coverage on Laos. 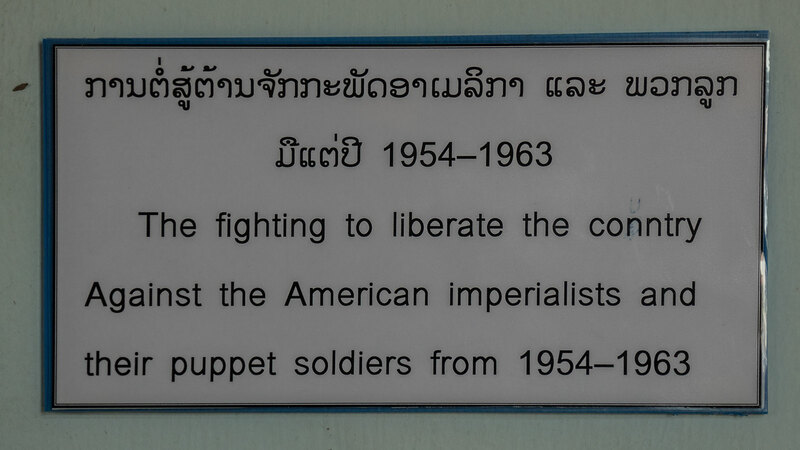 I was not knowing much of Laos. Also riding through tuk tuk is grat and thrilling. A week in Laos would be amazing. During travels people definitely learn a lot of things about the world and about themselves. Nice post. Would love to speak to a taxi driver from Laos and hear all their stories! Will def. go to Laos! Love your tip about sitting up close to the Tuk Tuk driver for a personal story! And great to learn a little more about the country too. Thank you! I hate that I didn’t get to visit Laos during my month in SEA. I definitely hope to visit someday. And I totally agree with sitting close to your Tuk Tuk drivers, they always have a story to tell. Whoa, I had no idea Laos was bombed so much! Literally no idea. I need to visit southeast Asia one day. I feel like I could learn so, so, so much. I have heard so much about Laos from my bestie who was there on assignment for 6 months and she loved her time there. I did not know that it was bombed so many times. Nice tip about sitting close to the tuk tuk driver. Laos looks like a promising destination. Something different from the run of the mill and a destination to many extent still shorn of western influences. Would love to visit this place and learn more about its history and people. So many places to travel to before they become too Westernized – I hope to get to Laos before too long.